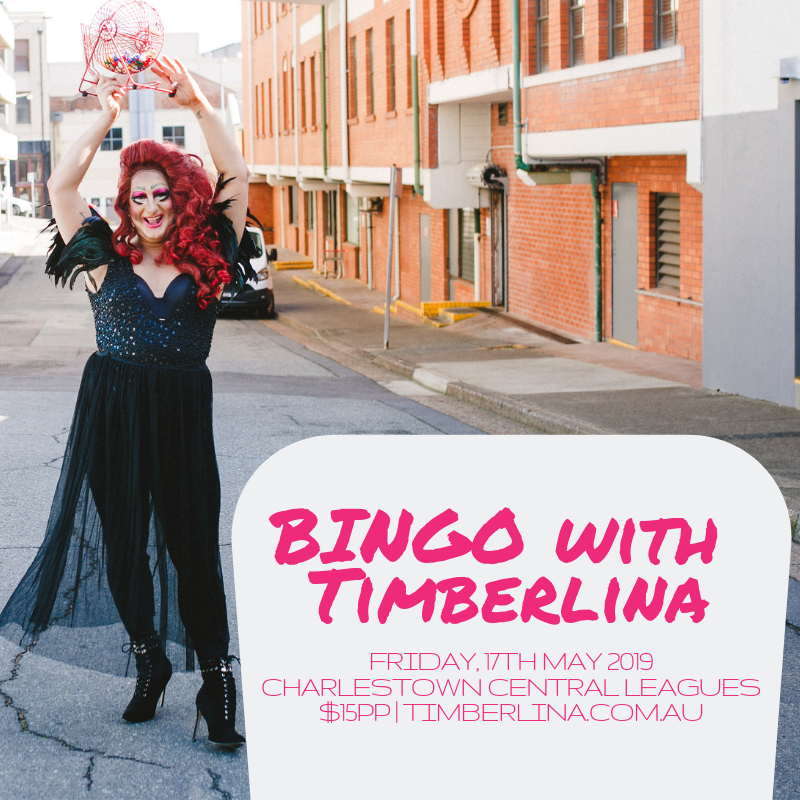 Bingo with Timberlina at Central Charlestown Leagues Club. 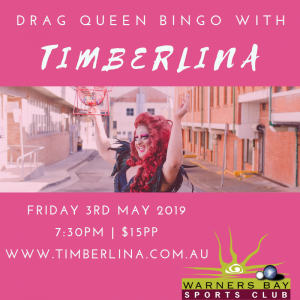 Enjoy a night of fun and laughs with 3 rounds of bingo. Tickets for Timberlina’s are sold at timberlina.com.au. There will be great prizes – remember those daubers, if not we will have some for sale! Includes a selection of cheese, meats , crackers and fruits. Call the club on 4943 6622 to pre-order!